Though it is not yet as popular as gasoline, the production and use of Ethanol is growing at exponential rates in the United States. Advertised as the answer to the world’s limited fuel supply, what is the real deal behind this ‘miracle resource’? Ethanol: What is it? How is it used? Is this the answer in the world of alternative energy? These are questions that are floating in the heads of many of us as the ethanol vs natural gas debate continues to burn. Ethanol is a type of fuel that is most commonly derived from Corn. After the corn is crushed into a powder, mixed with water, and heated, an enzyme is added that causes the corn mixture to ferment and turn into alcohol. Another process then breaks this mixture down further to create a highly alcoholic substance. After a small amount of gas is added to the formula, ethanol becomes a viable replacement to gasoline as an alternative fuel. Requires more energy transport than it supposedly saves: Ethanol cannot travel in normal pipelines and must therefore be shipped or trucked to its delivery destination. Requires more energy to produce than it supposedly saves: All of the resources used in growing and breaking down corn into ethanol require more fossil fuels than are saved with ethanol. Thus, completely defeating the purpose. Like it or not, Ethanol is already becoming incorporated into our gas. Right now, gasoline at the pump is about 10% ethanol, and these numbers will probably grow in the future. An energy bill passed in 2005 requires ethanol production to increase by 7.5 billion gallons by 2012.
Who benefits most from increasing ethanol production?? Surely not you. 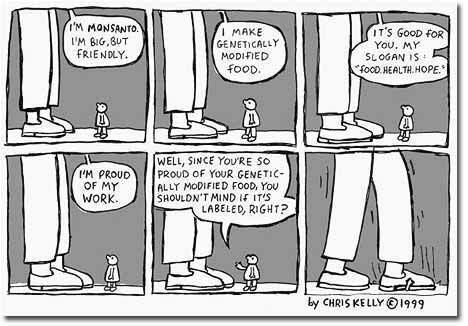 Mr. Monsanto is quite pleased though! At least now, the copious amounts of zombie corn have a place to go besides slaughterhouse feedlots! GREAT!!!!!! Ultimately? By upping ethanol production, our government is pouring even MORE money into subsidizing corn and that does very little to improve our current economic and environmental situation. Sure on the outside ethanol seems a lot better than drilling deep into the earth, or calling our friends the Bin-Ladens for oil, but this is only a surface level analysis of the situation. Perhaps it would be more viable in the future when better technologies are developed to make production and transportation methods more efficient. But right now, Ethanol is nothing more than environmental alcoholism. Where does the money go? Check it out. While it may seem that my arguement below is skewed to the left and based simply upon liberalist banter, I must stress that my conclusions are based off of what I read in the actual text of the Bill. The motivation behind this bill is to keep our food safe and out of the hands of contamination and bioterrorists. Though (if passed) this might prevent the occasional tomato and peanut scare, it seems like more wasted funding for another one of our government’s anti-terrorist moves that will do nothing more than infringe on our rights as citizens. Anyone remember the Patriot Act? Well, more than anything else this seems like the beginning of government intervention into multiple realms of domestic life, a change none of us were hoping for. Obama, you might want to get your wife’s organic garden at the White House approved. Those veggies could be lethal. Congress is working on a bill: HR 875 (aka the Food Modernization Act of 2009) that if passed would allow only ‘federally sanctioned’ seeds and produce to be grown and consumed in the name of ‘food safety’. The passing of this bill would also mean no more backyard gardens, community growing spaces, or small farms, as these are obviously an enormous threat to public health. The monopoly man just rained some bills on Monsanto, literally. I don’t even know how to begin this entry besides the obvious action of staring at my computer screen with my mouth hanging stupidly open. IS THIS THE KIND OF CHANGE WE SHOULD HAVE HOPED FOR OBAMA?! While the intent of the bill is to assure a large-scale public safety in food regulation, the catastrophic repercussions seem to really outweigh the benefits. Lets compare them together shall we? 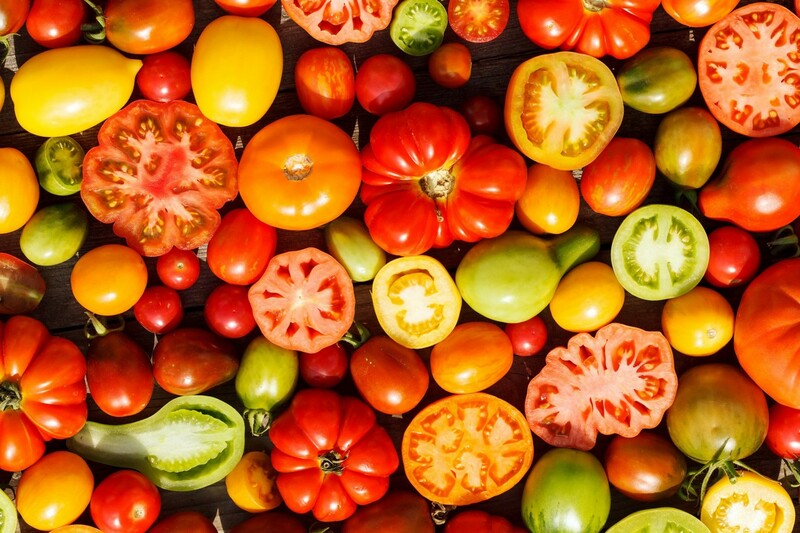 Buy heirloom seed and then harvest and re-use your own seed. You could NOT raise your own seed and sell, or even GIVE them to a neighbor. You would no longer be able to take your kids down to the local “pick-your-own” blueberry or strawberry farms, or buy from the roadside backyard grower of garden vegetables, or even grow your own vegetable plants, fruit trees, or nut trees, for your own consumption!! Here is a link to read about the current status of HR 875 that is being considered by Congress. PLEASE read up and take action to make sure this doesn’t get through. If this is some kind of attempt at saving capitalism, it will have contradictory effects, and simultaneously destroy our local sense of sustainability, and our ability to complete basic tasks (eating) without the interference of GObama. Just wanted to write a quick post about my level of pumped-ness (what?) for a post that will be coming later this weekend/early next week. A friend of mine has her own veg garden in her yard and she said that she would be more than willing to give us a couple tips for the home-grower wanting to begin the journey to fruit and veg enlightenment, a true grassroots gourmet. Just when I thought Monsanto couldn’t monopolize the industry any more than they already have, the company’s Roundup Ready 2 soybean strain has been approved for use in the European Union. Awesome. A statement from Monsanto’s executive vice president of global commercial business, Brett Begemann concludes that, “The European Union regulatory approval demonstrates the growing acceptance of Roundup Ready 2 Yield soybeans throughout the world.” Throughout the WORLD?! My god, what is the “world” coming to? And does this “world” really accept Monsanto’s zombie soybeans or is it the money hungry food execs that see this as a good business venture, forcing the rest of us to passively observe? I hope this doesn’t mean that soon other countries will have to experience what it means to eat food that isn’t actually…food Our dear friend Brett has included that the company is committed to the promise that this soy bean variety will double soy bean yields by 2030. The acceptance of Monsanto’s synthetic soybeans delivers two very problematic consequences. 1) This ensures that more funding and interest will continue to be put into producing advancements and innovative strategies for biotechnology product launches, especially those focusing on the food industry. In Fact, the company has been doing SO well recently that they have reaffirmed their goal to double 2007’s profits by 2012… I don’t hear Circuit City or Bally Total Fitness bragging about their quarter’s profitable season, oh wait. that’s because they filed for Chapter 11 bankruptcy…. Monsanto: Rounding up an agricultural monopoly. While the name, Monsanto, might not sound immediately familiar, this company has one of the most deep-‘seeded’ successful businesses in the history of American agriculture.Monsanto is the country’s lead producer of the genetically engineered seed, dominating between 70%-100% of the market for a wide variety of crops produced in the country. The company’s monopolization of this industry had created serious problems for the environment, small farm owners, and the health of millions of consumers all over the world. The company began with its production of ,”Ready Seed Roundup,” one of the most used herbicides in agricultural farming. In order to combat the accidental death of wanted crops with the use of this herbicide, the company created genetically engineered seeds that could withstand the Roundup spray. Seems like the perfect combination, farmers could use the herbicide to get rid of unwanted weeds, while not having to worry about killing off any of their precious crops. The perfect plant, right? Initially, it seemed like a foolproof plan, however; as the company continued to gain momentum, its success gave it enough power to almost completely take over the entire agricultural industry, bringing with it some severe environmental consequences. The Monoculture: Death of Biodiversity: Before the birth of advanced agricultural technology, the United States flourished with endless varieties of fruits and vegetables, all growing in their respective local climates. Agriculture was biodiverse and soil was rich. Now, with the obvious profit benefits of creating an monoculture, that is: The agricultural practice of producing one crop over a large area, has made it almost impossible for other plant and crop species to flourish. The Consequences? Catastrophic Crop Failure: If this one crop strain becomes affected by a pathogen, that means the entire harvest is gone. No variation=less adaptability to changing environmental conditions. The company has patented this seed, and made it almost impossible for small farmers to live in peace, without the anxiety of this seed to accidentally become entwined in their crops. The video below, a clip from the documentary, “The Future of Food,” gives some insight about the current situation that exists with Monsanto, its patenting of seeds, and the toll this takes on our environment and the jobs and financial security of small farmers. To see more of “The Future Of Food” you can purchase a copy from the Grassroots Gourmet Online Store that can be found in the list of links to your left! Monsanto is developing problems for our environment, economy, and personal health, but these problems are way too vast to try and swallow in one entry, plus, I wouldn’t want to ruin your appetite. Monsanto posts will be regular, with updates and sections based on the environment, health issues, and economical issues as well.